The Egyptian Pyramids are believed to symbolize the descending rays of the Sun. 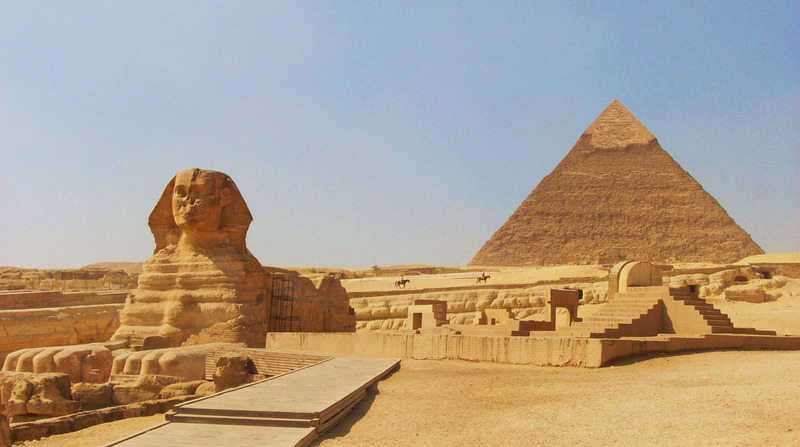 While the earliest pyramids were found at Saqqara, the pyramids found at Giza near Cairo are the most famous Egyptian Pyramids. These are the most magnificent structures made by any civilization ever and reflect the power and role of the Pharaohs in ancient Egypt. Even, after 4000 years they still retain their majestic glory. The sides of the base of the great pyramid at Giza measures 230 meters and it was originally 147 meter high making it the largest pyramid and this was built with 2.3 million stone blocks of 2.5 tons each.